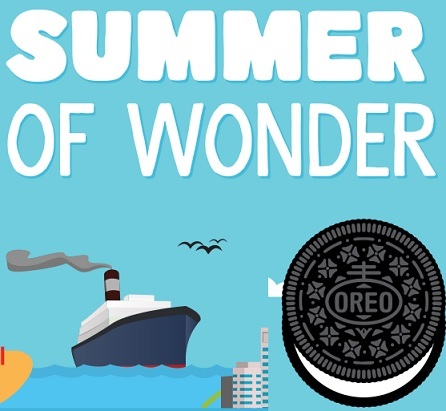 Oreo Summer of Wonder Sweepstakes wants you to share the wonder! This summer, Oreo wants to see how you chill out with OREO. Simply share a picture of yourself enjoying an OREO treat at any restaurant. It could be a beverage, ice cream, cake, whatever you discover! 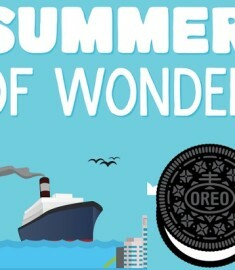 Add #OREOSummerSweepstakes and tag it with @OREO. It’s that easy! So what could you win? How about your choice of a wonderfilled adventure like…Grand Canyon Tour, New York City Landmarks, Rocky Mountain Ski Trip, California Redwood Tour, Iconic Food Festival, Cruise to Alaska or Las Vegas Getaway! Any and all of these sound amazing, count me in! All the amazing trips have different values ($4,800-$6,300) but the grand prize winner also receives : Winner will also receive a $1,100 check that can be used for spending money! Check out the official rules below to see which trip suits you. For me its all about the Rocky Mountain Ski trip! Not because its the most expensive, but because skiing is awesome fun and I have never been to the Rocky Mountains! Enter today and best of luck to all! Oreoo’s are wonderfilled and perhaps its time to share your love for them to the world. The pay off is well worth the possible reward for sharing a simple picture. Personally I think I will head to my local donut shop where they sell the most delicious Oreo Donuts, this is for sure no chore, what a great excuse to eat more Oreos! What a fab win a trip sweepstakes. Make your photo sweet, but worry not this is a random drawing and not based on you photography skills at all.